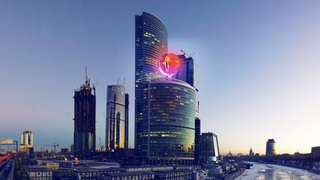 Good news/Bad news, everyone - Sauron's eye will not descend upon Moscow City. Plans to install a giant light-up version of the Dark Lord of Mordor's burning eyeball have been scuppered, thanks to complaints from the Russian Orthodox Church. Such a symbol of triumphant evil rising above Moscow and becoming one of the tallest objects in the city…is it good or bad? I am afraid it's mostly bad. One shouldn't be surprised if something goes wrong with the city after that. And thus, the project was shut down as quickly as it was announced. Who knows, maybe they just weren't looking forward to all the Mordor/Moscow jokes?